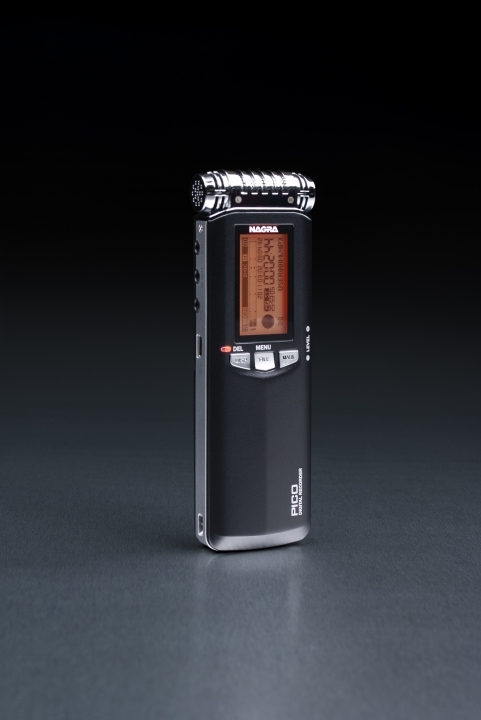 The Nagra PICO is designed as a compact device for any ultra-portable recording situation. 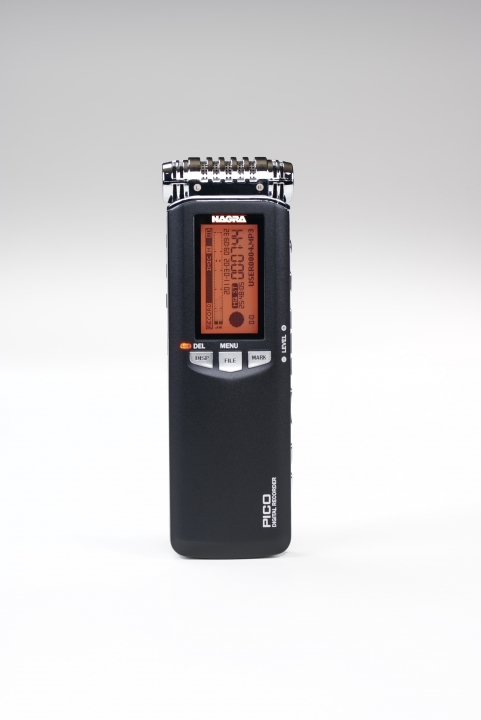 This high quality solid-state audio recorder is ideal for linear PCM recordings or MP-3 for web applications. 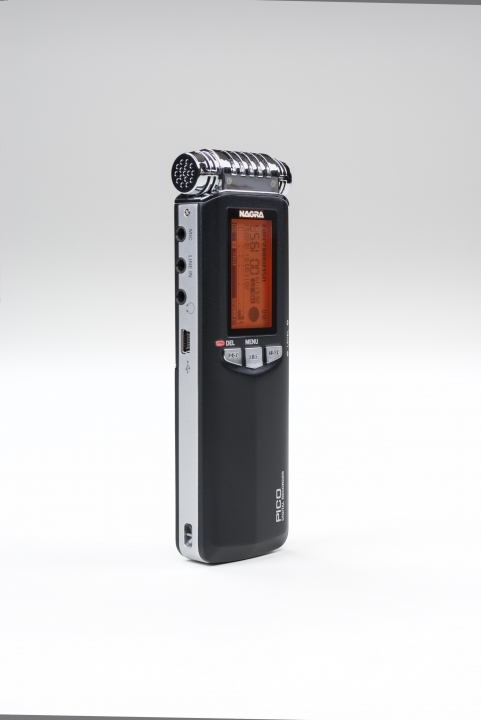 Its built-in microphones and internal 4GB flash memory make it a compact and convenient solution for a wide range of applications. The PICO records to an internal 4GB flash memory in linear PCM Mono or Stereo audio wav files, as well as MPEG compression MP3 for longer recording times. 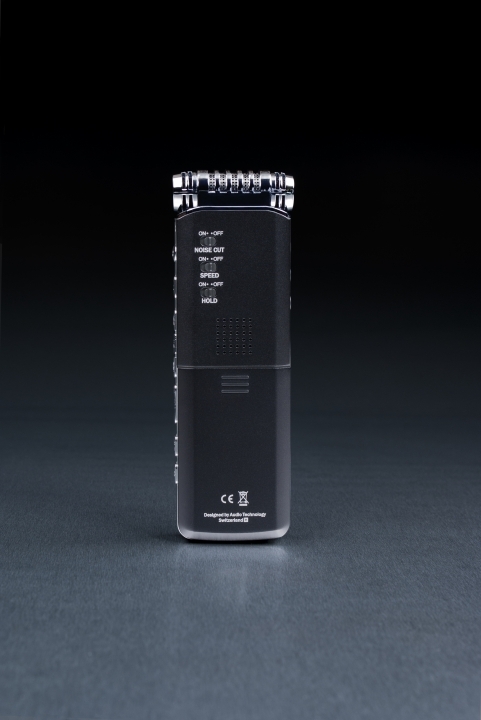 The unit is powered by two “AA” batteries, offering in excess of 40 hours operation. It offers an automatic gain control system, a noise cut low frequency attenuation input filter and VOR (Volume Operated Recording). It is also fitted with several pre-programed equalzer settings to enhance playback. 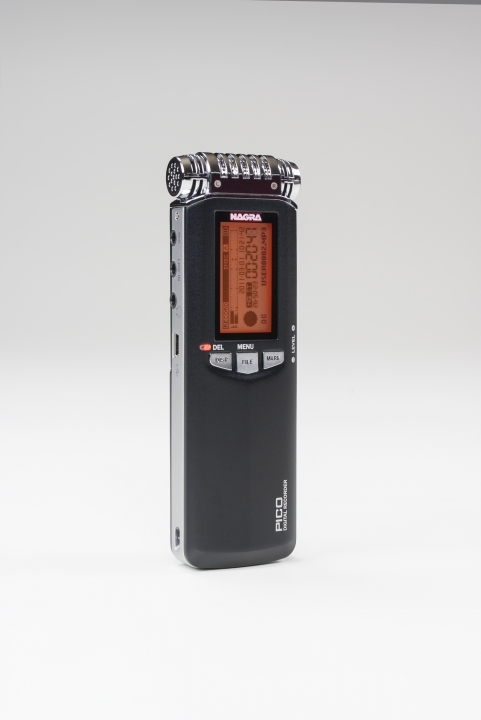 Very easy to operate and comfortable in-the-hand the PICO is an ideal pocket sized recording device. 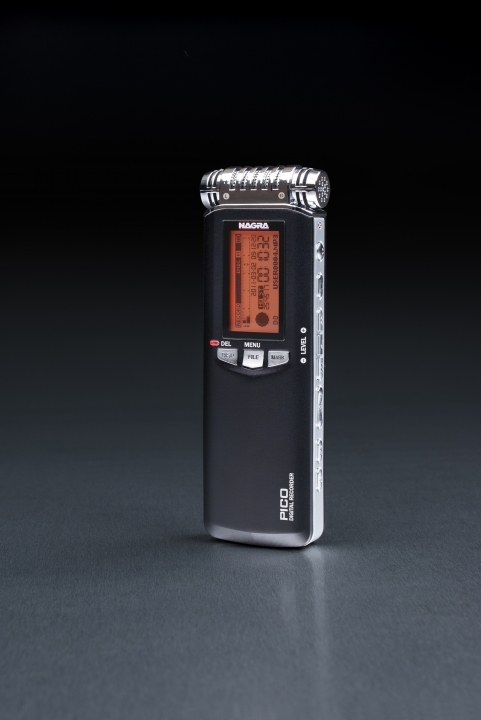 Designed for radio journalist applications, and other hand-held recording opportunities the Nagra PICO offers instant start-up, one button recording, automatic level control, internal loudspeaker and a low cut filter. 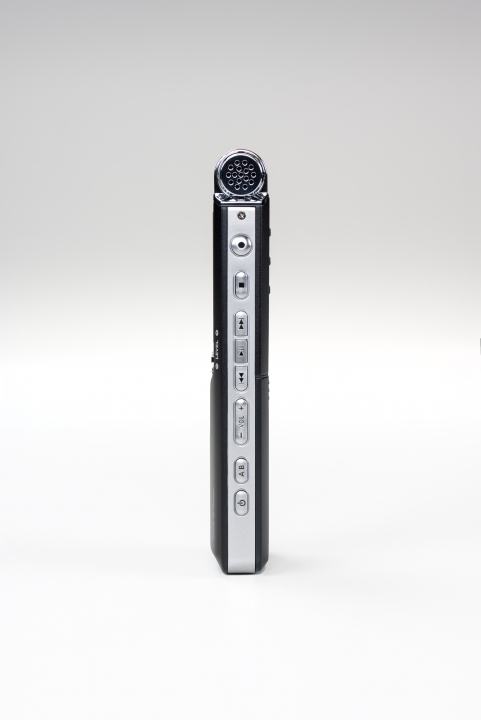 Three switches on the rear of the recorder give the user rapid acces to several important functions without the need to enter the menus. 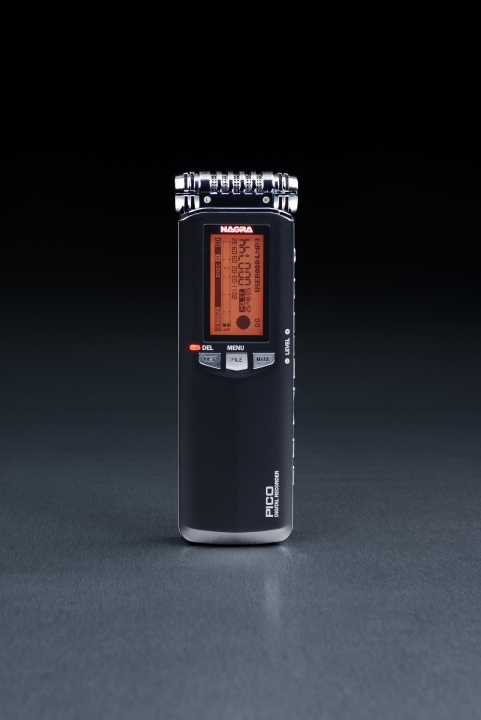 All other settings are programmed through the comprehensive menu system, where many features of the recorder can be adapted according to the users requirements. The Nagra PICO has a miniature USB 2.0 port. Through this connection, the internal memory appears on the “desktop” as a mass storage device (external drive) of the PC / MAC and requires NO additional software or drivers.